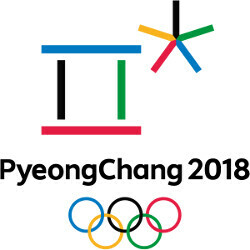 With the 2018 Winter Olympics in South Korea running from February 9th through the 25th expected to draw many Americans to the country, Verizon has its subscribers covered with free international service. During the month of February you can receive free Travel Pass service in South Korea, allowing you to make calls, post to social media and share pictures with your friends and family. To take advantage of this deal, sign up for Big Red's Verizon Up rewards program by January 28th and then subscribe to TravelPass before using your handset in South Korea next month. Even if you don't subscribe to Verizon Up, you can still sign up for TravelPass and use your Verizon phone for free on opening day, February 9th. You must own a 4G LTE World Device, and be on a qualifying plan. International data is reduced to 2G speeds after using 500/MB a day. Verizon also has some accessories that would be great for you to bring to South Korea for the Olympics. For example the mophie powerstation plus 6000 is a powerbank that carries a 6000mAh rechargeable battery. With two USB ports, a pair of devices can be charged at the same time, and a switch-tip cable (Lightning and USB) allows you to charge both iOS and Android devices. The powerstation plus 6000 is priced at $79.99. The Tile Sport is a device that can be attached to certain items like backpacks, key rings and more. Using Bluetooth, it has a 200 foot range to help you find lost items. And if you can't find your handset, double tap the Tile Sport to make your phone ring as long as it is within range. A two-pack will run you $59.99. Lastly, the Ultimate Ears Wonderboom is a portable Bluetooth speaker that is protected from drops, and features an IPX7 certification rating that protects the device from water and dust. The speaker is priced at $79.99 after a $20 discount. If you're a Verizon customer planning to visit South Korea, you should take advantage of this offer from Verizon. You can take the first step by clicking on the sourcelink. The love that PA shows for Verizon is shameful. The fact saying they’re crooked will get your comment removed is really just pathetic. Then when I mention something about it they removed that comment too. This offer doesn’t make up for their crooked ways. US tourists need not worry too much about connectivity when you guys visit Korea to see the Olympics. Entire Peong Chang Olympic area is already installed and covered with free Giga wifi zone ready for the Olympics. Plus free wifi zone is almost every where in other parts of Korea including airports, under ground subway trains, public parks, tourist hot spots, cafes, restaurants, bars and public buildings. First commercial service of 5G mobile communication tech which will have about 20 times faster data transfer speed than LTE, will also showcase with the Olympics as well. I doubt people will have to worry about internet connectivity in South Korea. Screw Verizon. With the money they make, they can afford this retarded service.